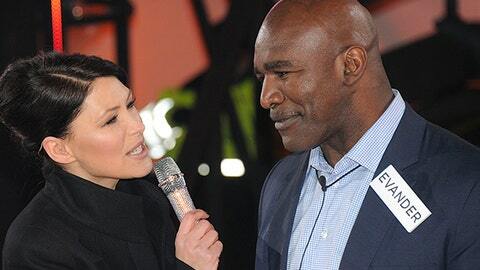 Former heavyweight champ Evander Holyfield’s first week on UK Celebrity Big Brother is off to a controversial start. Talking to a housemate over the weekend, Holyfield was seen on camera saying that being homosexual was akin to being handicapped — because a doctor can fix either condition. The housemate, reality star Luisa Zissman, obviously disagrees and tries to talk sense into Holyfield, but he continues to try to make his case — although it’s hard to understand what points he is trying to make. Afterward, the show’s producers take him into a private room and chide him for his views, saying that while it may be his personal opinion, it is not a view shared by the majority of society and it would be offensive for him to continue expressing those views. Holyfield, an evangelical Christian, said he didn’t feel he’d done anything wrong, but that he would refrain in the future.